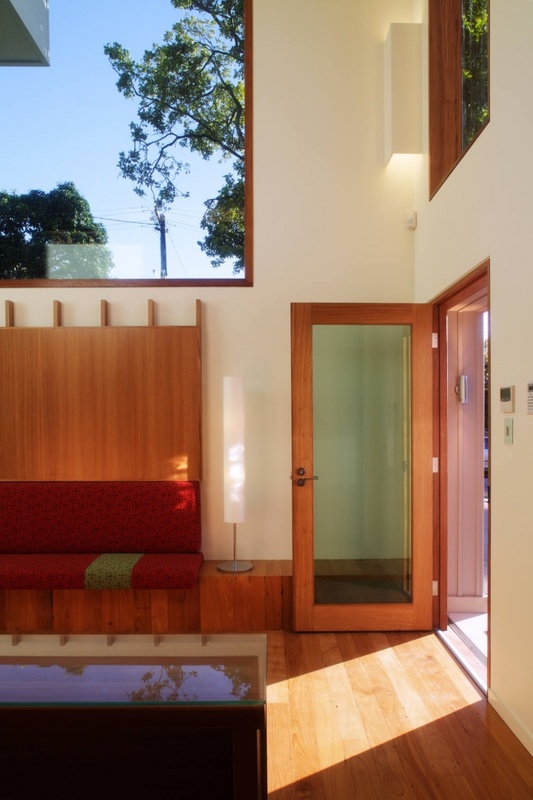 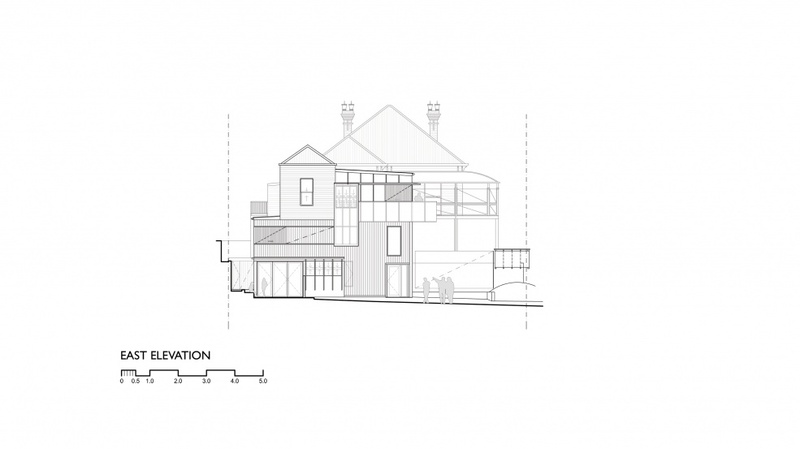 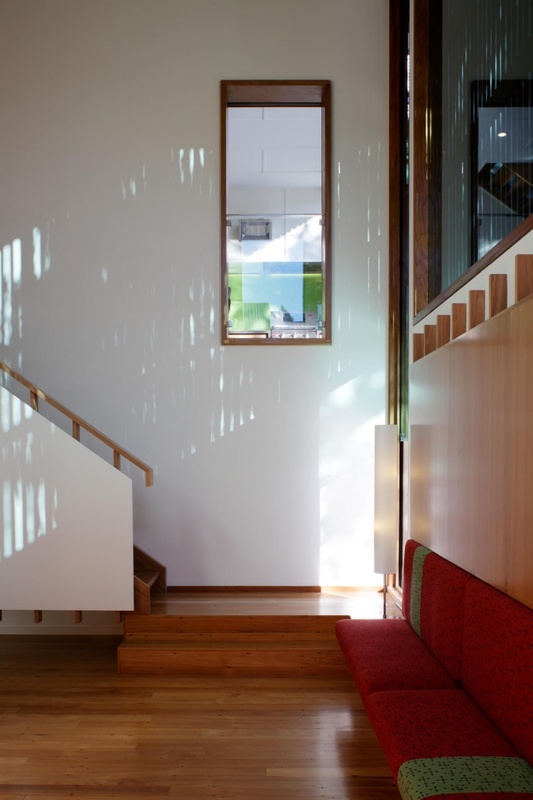 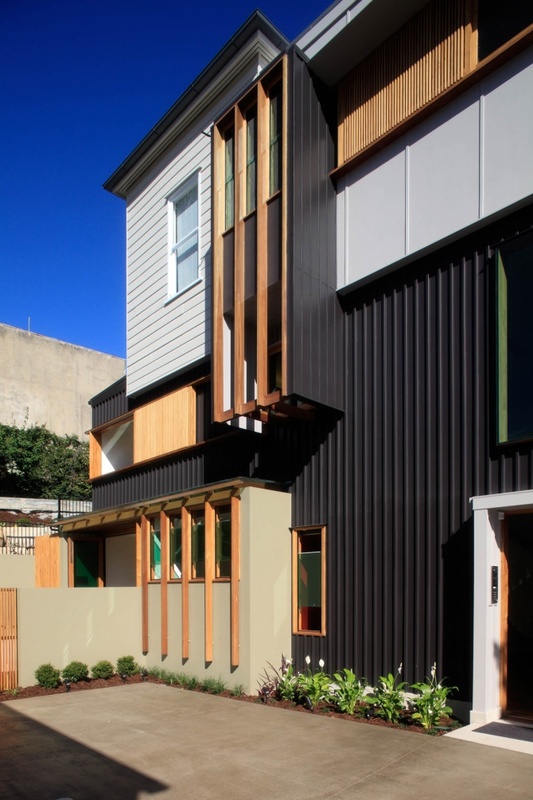 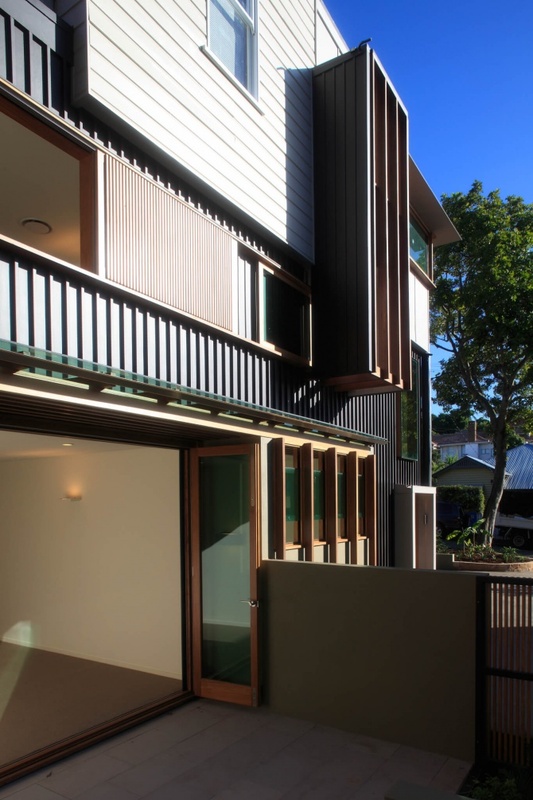 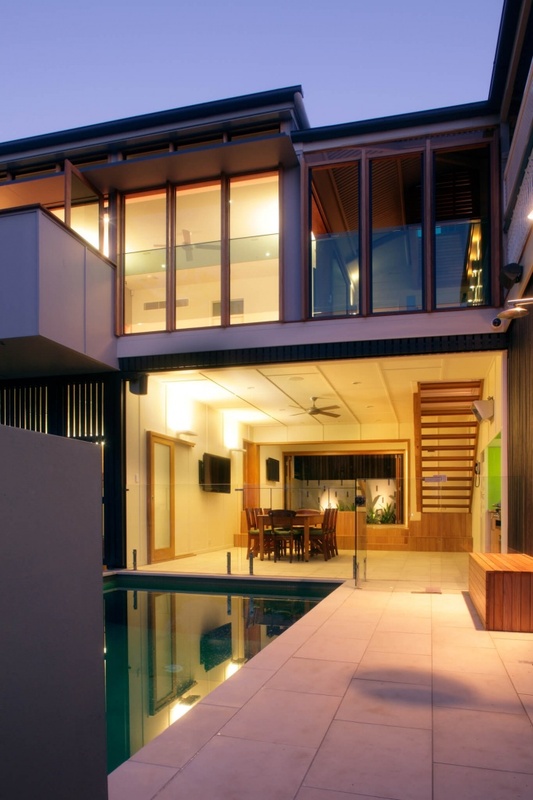 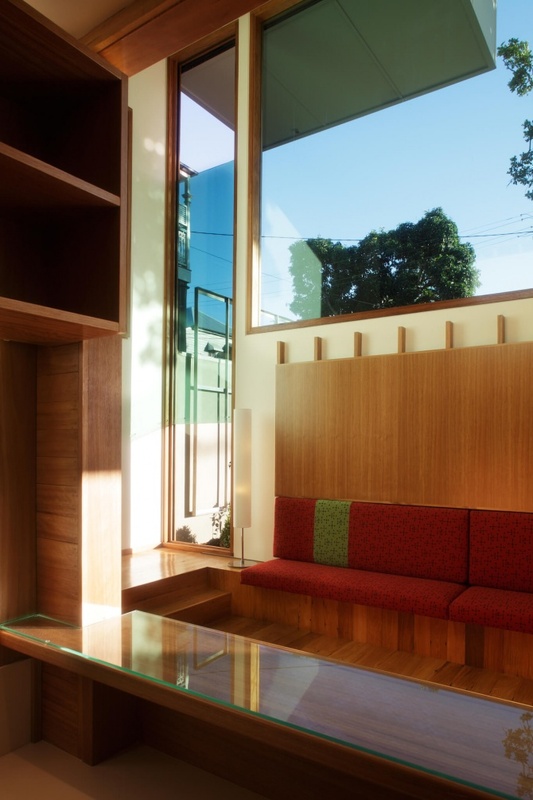 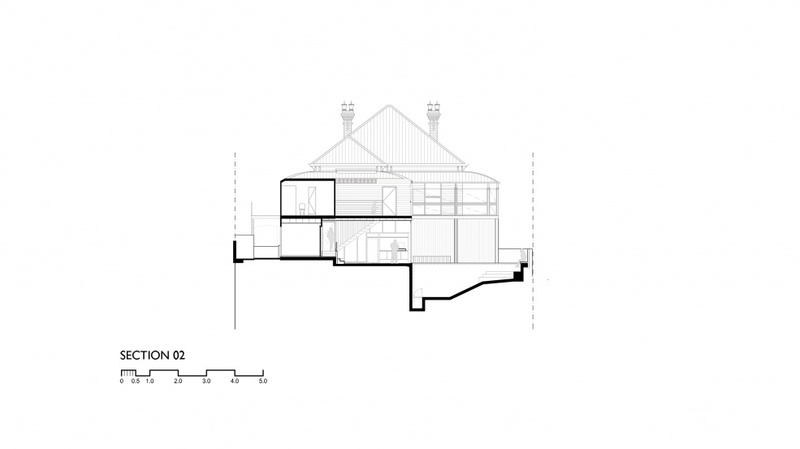 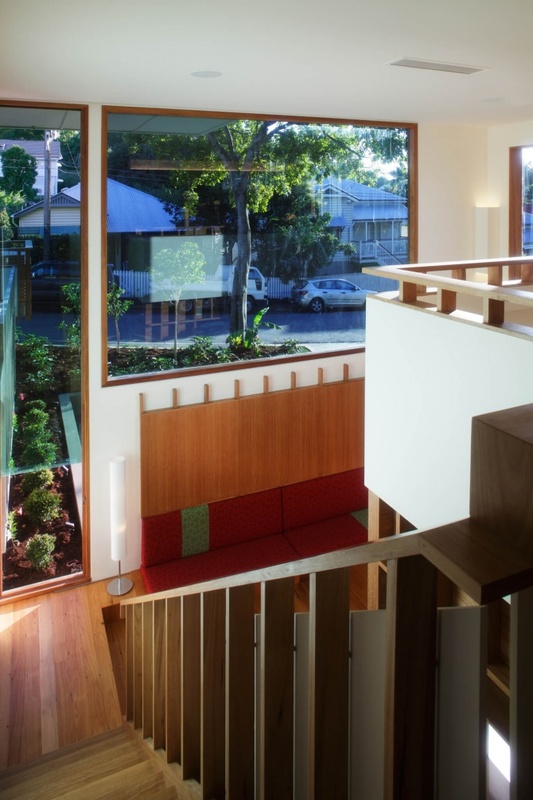 This extension and renovation exploits the drama common in steep inner city Brisbane blocks. 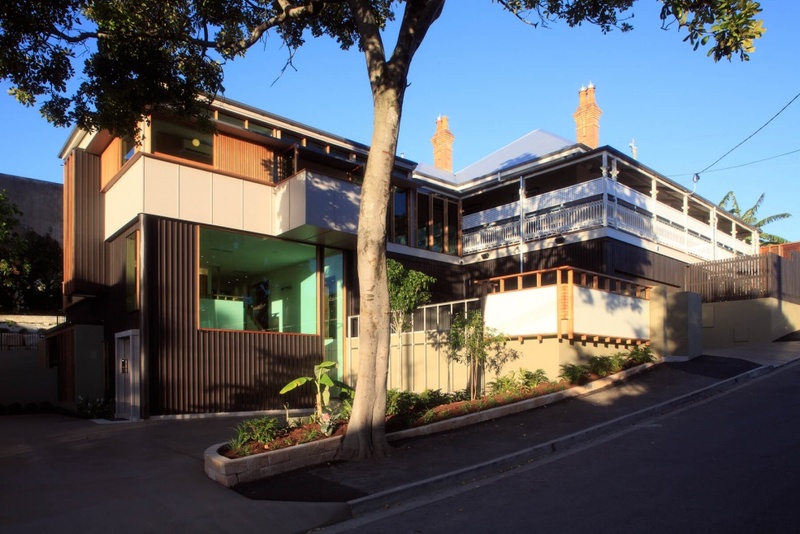 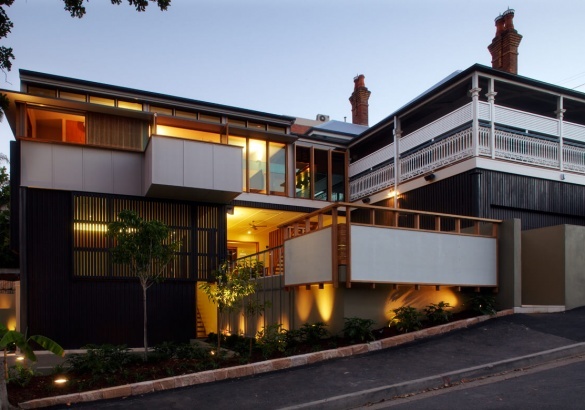 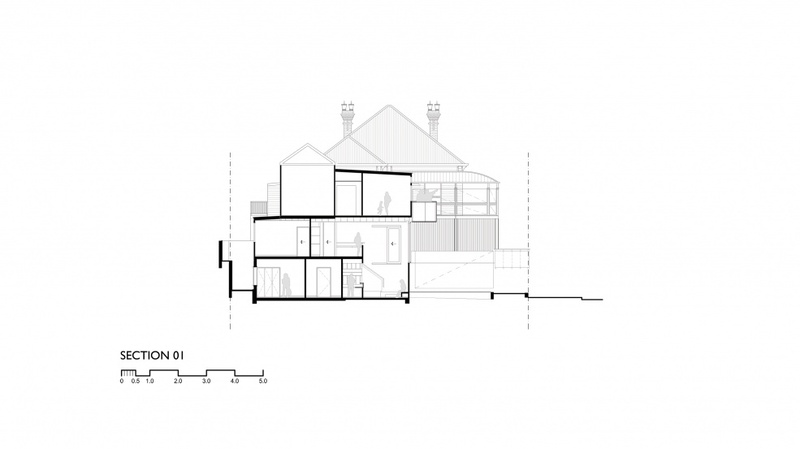 The works are situated at the rear and consist of the renovation of the sixties addition and the original 1880s servants' quarters, and the building in of the two storey undercroft. 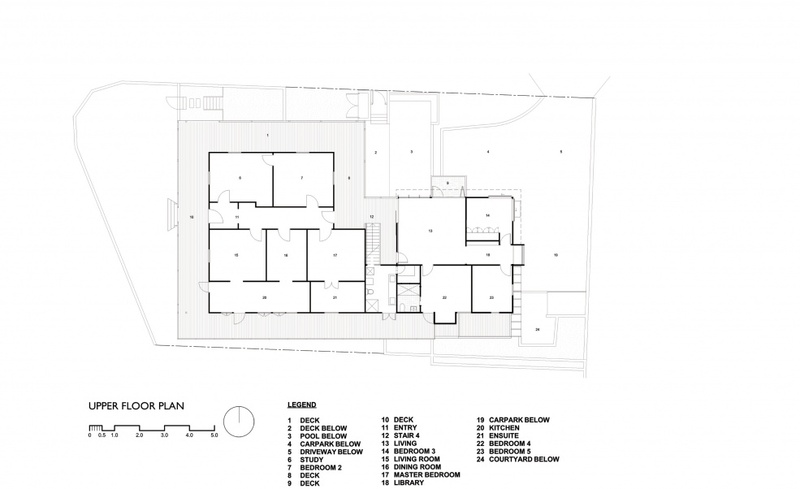 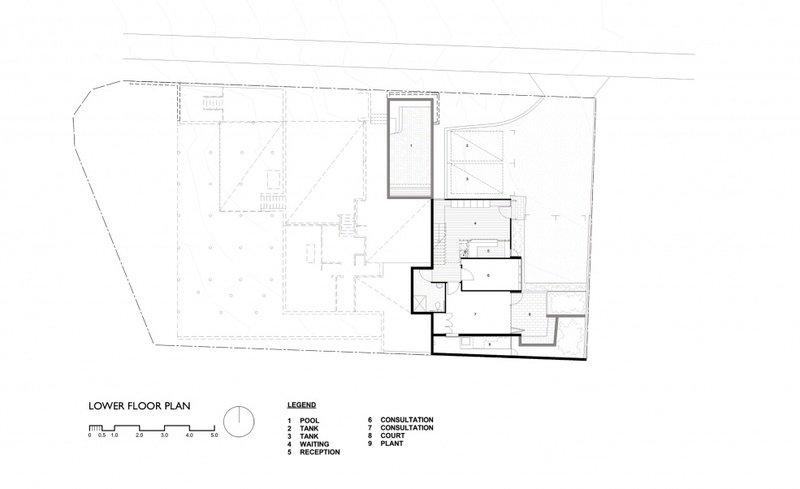 Into this undercroft a large home office to house a psychology clinic with independent access is placed. 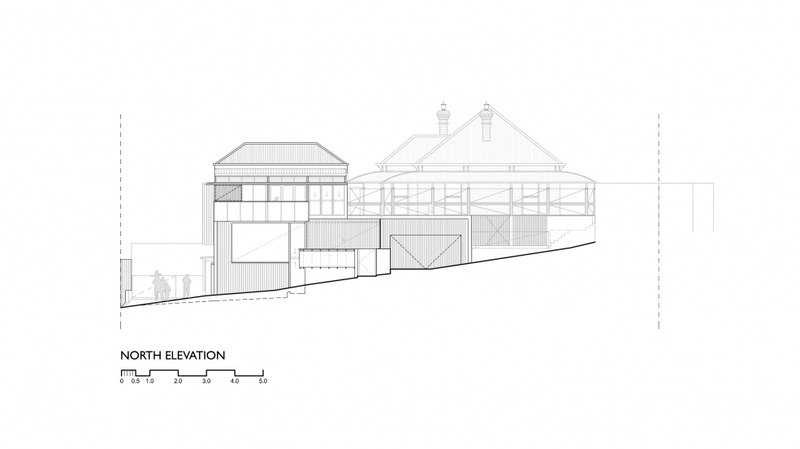 The entry and waiting space of the clinic is double height so as to link the exterior and interior and to experience the scale and drama of the original undercroft. 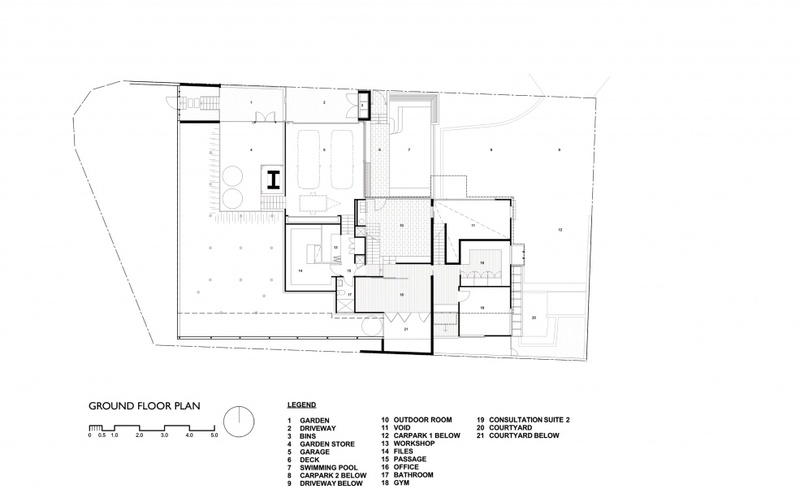 At the midlevel a new gym room, outdoor room, pool and garage have been situated. 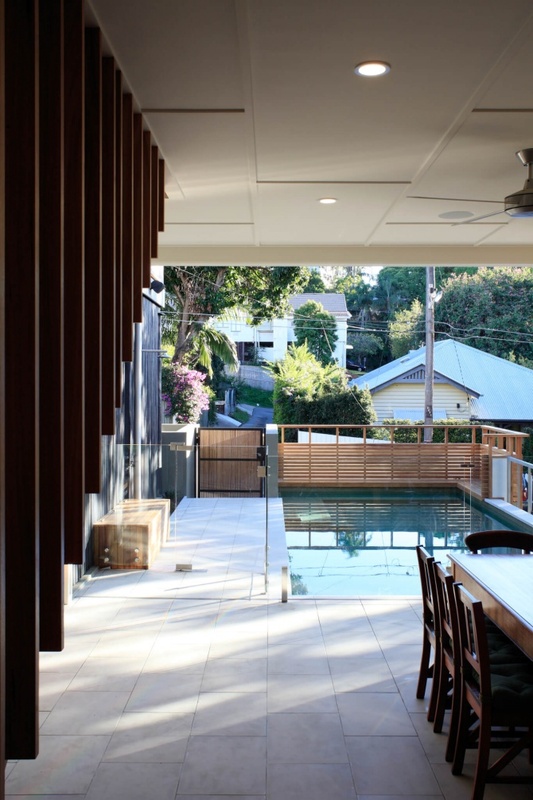 The pool extends out to the street boundary with a seat at the end providing privacy and the opportunity to engage with the house and social events from the pool. 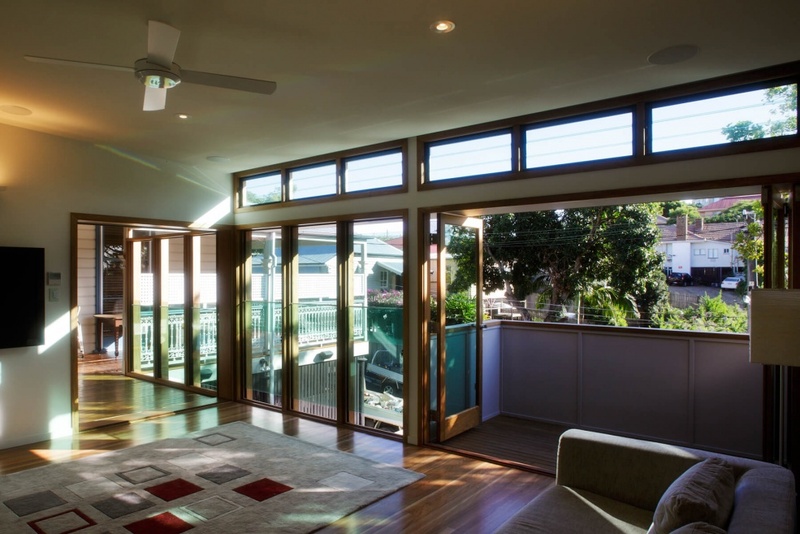 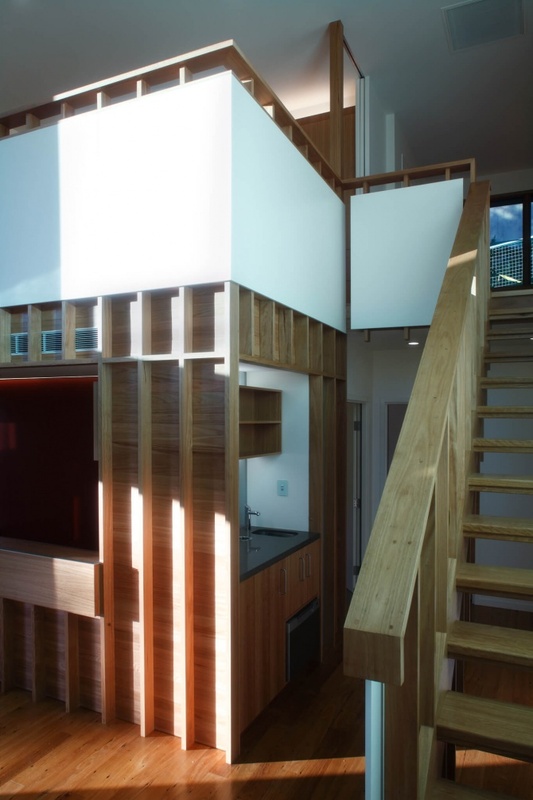 The design of the upper level renovation works to reinforce the sense of elevation and prospect with the corner bedroom windows sliding back from the corner making the room feel like it is in a treehouse.